See3CAM_81 is a high performance 8MP autofocus UVC USB camera module based on OV8865 CMOS Image sensor from OmniVision and is compatible with USB 3.0 SuperSpeed interface on the target platform. 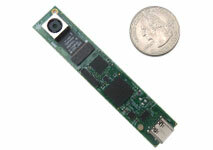 See3CAM_81 is fully compliant with USB Video Class (UVC) 1.0 Standard. So, video streaming through UVC is possible without any special drivers on Operating Systems that have built-in support for UVC standards. * - The 1080p @ 30 fps (cropped) will have 55% FOV and 12 fps (binned) will have 90% FOV. 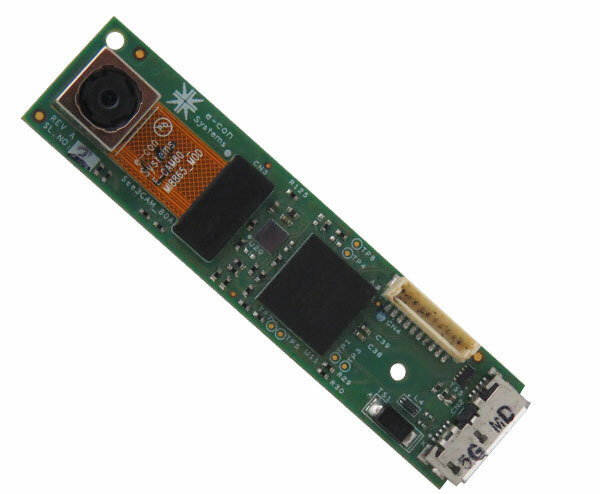 Customers who own platforms that support USB 3.0 SuperSpeed interface and are interested in evaluating the 8.0 MP UVC USB camera module can directly buy the See3CAM_81 - Windows/Linux USB camera. In addition to See3CAM_81 , the evaluation kit comes with e-CAMView (Windows) / QtCAM (Linux) - Sample application for Video Preview and Still Capture along with the UVC Extension features (for Windows 10, Windows 8, Windows 7, Linux, Android * and MAC **). 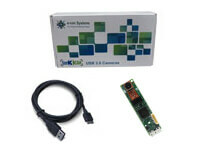 For more details, please refer the evaluation kit contents below.